My advising you to backup Facebook data may seem a very low priority but might save you much sorrow in the future. Obviously this is for readers who are users of the social networking website Facebook and therefore have a user profile. 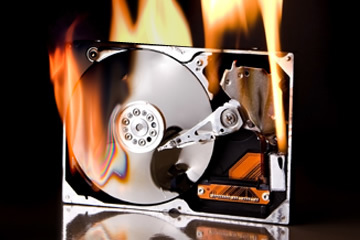 Most of you have heard more than once about the importance of backing up your computer’s hard drive in case of disaster. Several of you have actually done so. I am speaking to both parties when I advise that all Facebook users should secure copies of their data as well. A social networking profile does not live in your computer it lives in the cloud, an array of servers in a land unknown to most, and that data is subject to events beyond our control. When it comes to files on your computer I recommend saving critical data on several media. Recently I have been urging folks to copy hard drive data to an online storage solution. There are plenty of free places, such as the common account perk from the internet service providers we overpay, that can handle the really critical files you need saved. Likewise, your data that is already and exclusively in online storage should also be on your hard drive. I like a separate hard drive within the computer dedicated to backups due to the speed of file transfer and the ease of saving and restoring those files. I also use an external USB connected hard drive enclosure to back up the backup. Paranoia has led me to set up that external hard drive with dual one terabyte hard drives inside, in a RAID configuration, in which everything I send to the first hard drive is immediately mirrored onto the second hard drive to backup the backup of my backup. I like the external because it is also mobile enough to transfer large amounts of data between computers not on my home network. Lastly I have smaller portions of the hard drive saved on USB drives and the DVD format that can be put in a drawer or somewhere off site in case of a more thorough catastrophe that would take out the first few backups. Go ahead, crack wise, I can take it. But who’s going to have all their 2000 – present outbound emails, and their Angry Birds high scores, and their internet shortcut to the pumpkin tossing YouTube videos, all intact after their hard drive crashes late in December 2012? The crazy backup everything three times evangelist that’s who. I have noticed that much of what is on a Facebook profile, right now it’s called a timeline, is exclusively on Facebook servers. Many of the photos and videos are uploaded to the page from cell phones or another person’s hard drive and you may not have a copy. The contacts list, or friends information, has the email addresses of people I do not have in my other address books. Yes I could transfer them myself but have not. The emails to and from those friends are likewise on the Facebook server and not my own computer. Those wall posts and chat conversations will come in handy when you need that silver bullet in divorce court or just want a simple restraining order. My business page on Facebook does not yet have a long list of contacts but I hope it will someday and I would need a backup. I have heard of more than one account that was terminated by Facebook or otherwise corrupted and the owner had lost all the business contacts made through the page. Similar to our cell phone data this Facebook information would not seem important until the accumulated amount and exclusive living arrangements became obvious; too late. So now that you may respect the clear and present danger I will show you how to deal. First get a copy of what you’ve shared on Facebook. You can download your information from the Account Settings page. What’s not in your archive? Your Facebook archive includes sensitive information like your private Wall posts, photos, and profile information. Please keep this in mind before storing, sending or uploading your archive to any other site or service. Now you can easily download and browse through a personal archive of your Facebook photos, posts, and messages. This information is available in a more thorough presentation in the vast help area of Facebook. Learn more about downloading a copy of your information. My own Facebook page has not been updated in ages but I am going to get to that this weekend. Then I will download a backup of my profile. Then backup the backup of the backup naturally. That way I will always be able to verify when the friend I last saw in 1983 was able to grow the Great Pumpkin in Farmville and then was finally able to go get that new pair of shoes they been wanting forever. This entry was posted in Do It Yourself and tagged backup Facebook profile data by Steve. Bookmark the permalink. Many thanks for the advice, and your blog certainly looks superb. Exactly what wordpress design are you employing? Great posts you have here, if you update it a little often, then that would be very helpful for us. Thanks a lot. I find this very interesting and educational. Thanks for posting. Everything here is absolutely awesome, posts, style, all! Would be great if we could read your blog posts everyday. Congrats on the hard work. Hey there, truly interesting posts you make, just keep up the great work, will be back for more.